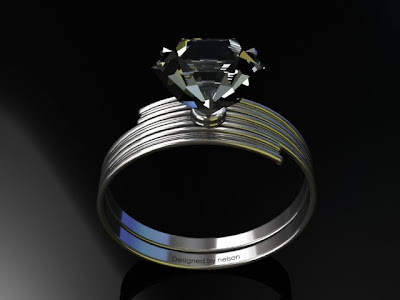 The one that i am going to share with you today is a "DIAMOND RING", designed and modeled by "Nelson". 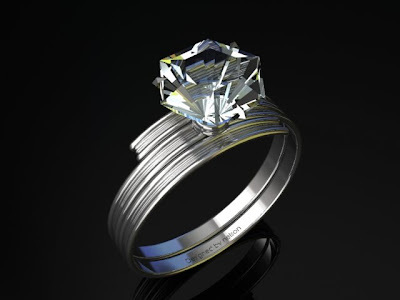 In order to ensure this ring has its copyright, he even carved his name on the ring body. The first impression when i received this ring from him is " Wah....this diamond is very BIG"........and looking at it's size......this diamond is more than 3 carats...... later i fall into deep thought.....then i said to myself " Well, that is the advantage of having a 3D modeling Software, you can design anything at any size you desire at almost "ZERO" cost". 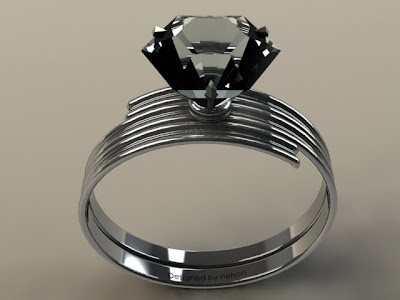 Basically by having a 3D modeling software, we can designed anything that we can imagined. Some words of suggestion to Nelson. "Next Time Draw A Bigger Diamond!!"